Have a Google Site that you would like to embed your ClassMarker Tests into? 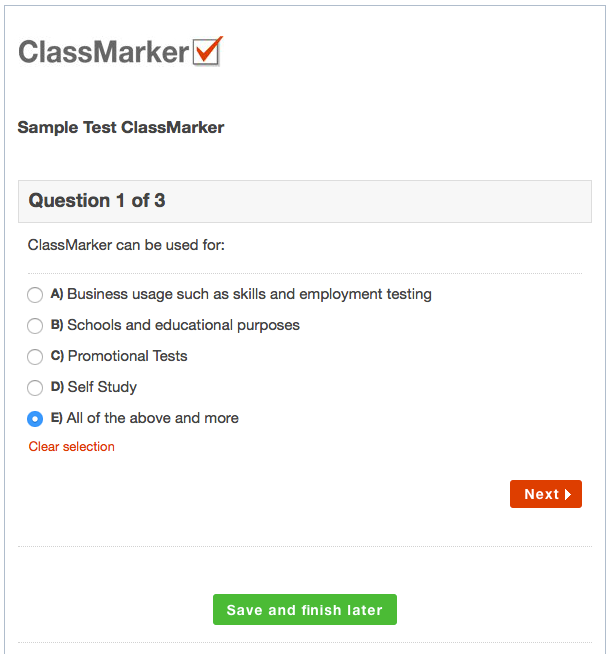 Once you have created your Quizzes using ClassMarker's Online Quiz Maker Tool, embedding these into your Google Site is a very simple process. With just a few clicks, you will have your Quizzes embedded into your Google Site web pages. When you create online Quizzes for Google Sites, with ClassMarker, this will require that you use Links to assign your Tests and copy an embed code and paste this into your Google Site page. We have provided a tutorial below on how easy it is with ClassMarker, to Embed Online Quizzes in Google Sites. 1. Go to your Links page (located top right of any page) and after selecting the required Link, click to expand options and Click Settings. 2. Here you can select the 'Embed on your Website' option and copy the Embed Code for your online Exam. 1. 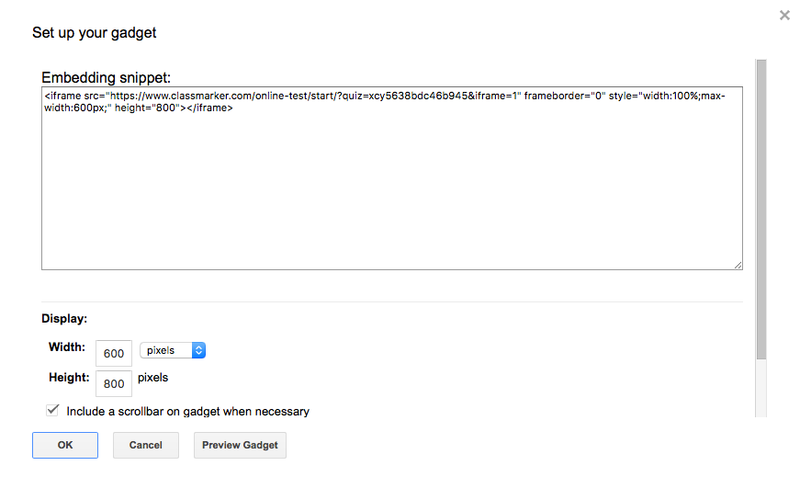 On the page you want to embed your test, click on 'Insert' (located top left of page) and click on 'More Gadgets'. 2. 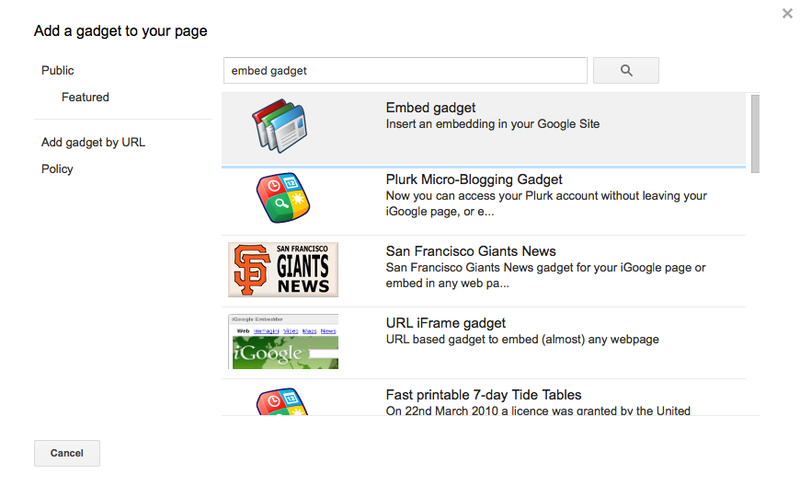 You will then type in the Search field 'Embed gadget', in which will bring up the gadget that will allow you embed. 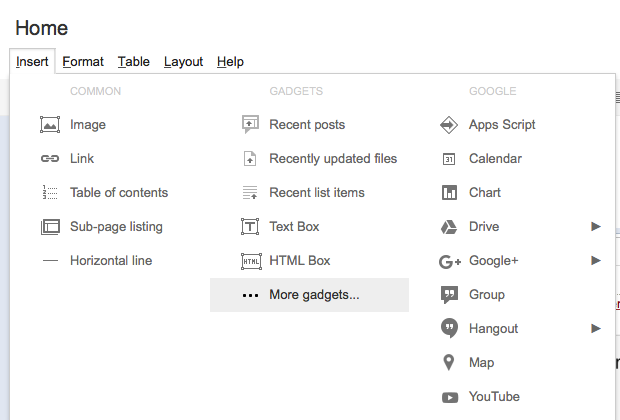 3.On the 'Embed Gadget' page, click on 'Select'. 4. In the 'Embedding Snippet' text box, paste the iFrame code that you had copied from your ClassMarker administrator account. Please Note: The dimensions included in the iFrame code that ClassMarker automatically provides is width:700px;" height="800 however for the Google site layout we have, we are going to do 600px in width by 800px. 5. Click on 'Ok' or you can click on 'Preview Gadget' to do a preview of how it will look first. 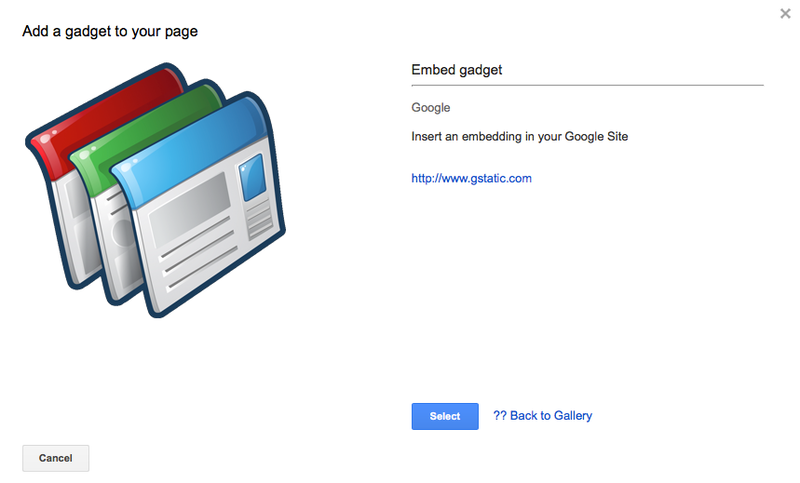 Once clicking 'Ok', you will then see a box with 'Embed Gadget' in it. In order to see the test embedded into the page, click on the blue 'Save' button at the top right of your page. Your ClassMarker test is now embedded into your Google Site for your test-takers to begin their Quizzes! See for yourself how easy it is to Embed Online Quizzes in Google Sites. How do I Give Online Quizzes? How do I Integrate with Third Party Services? How do I Brand Online Quizzes? How do I Return Results to My Website?